We finally made it to my dad's house late last night after a marathon of driving. 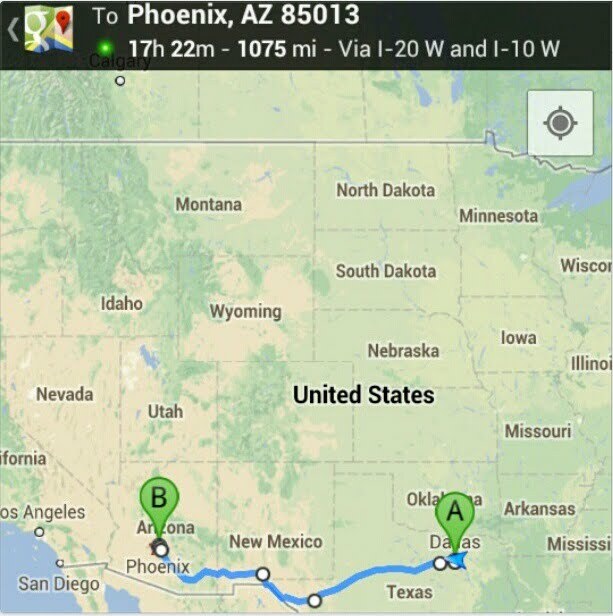 Yup, that's right, we drove 17.5 hours all in one day, and surprisingly it wasn't that bad. We kept each other pretty well entertained by singing Disney songs and listening to comedy specials on Netflix. Will and I took turns driving every couple of hours which was nice, and Wigs for the most part slept, up until the last hour when she was just as ready to get out of the car as we were, haha. Even though it wasn't too bad I do not plan on doing another drive like that anytime soon, we are both pretty darn exhausted today! Just wanted to give you a quick update hope everyone is having an nice Tuesday, and now I think I will take a nap. We did a one-day drive like that once and it was before I knew how to drive stick, so Ian was stuck behind the wheel the entire trip. It was fairly brutal. We definitely needed naps after that one. So glad you made it!! I live in AZ, you MUST eat at an In-n-out burger!!!! lived* I don't live there now haha. It's nice and warm out. haha. Yay!! Now only 12 hours to slc!! Yikes, what a long drive! I certainly wouldn't undertake it alone. =/ Glad you're safe! 17.5 hours in one day?! Good for you guys. Glad you made it there okay!